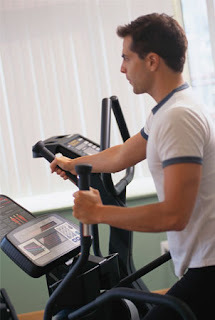 The Healthy Boy: Do You Really Need Cardio? Below is an interesting article from Mike Geary, discussing whether traditional cardio is actually helping or hindering our fat loss efforts. 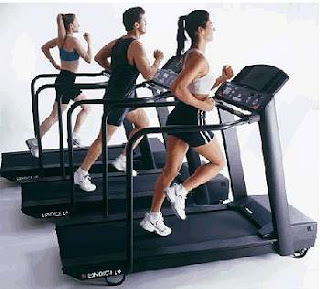 If you are bored with spending hours upon hours each week running on that treadmill or spinning your little feet off, he offers a solution that can not only help you burn fat and keep you interested, but help you build muscle at the same time. Let's take a look at a couple examples. Take a barbell (or dumbbell, or kettleball) clean and press for example, which involves lifting a barbell from the floor up to shoulders, then push pressing overhead. And listen up ladies, because even though this is usually seen as a manly exercise, it doesn't matter if you're not lifting 250 lbs; if 45 lbs is challenging to you, then you will still benefit just as much. At first glance, most people think of the barbell clean and press only as a weight training exercise or strength exercise. However, I challenge you to do a hard set of around 10-15 reps on the C&P. 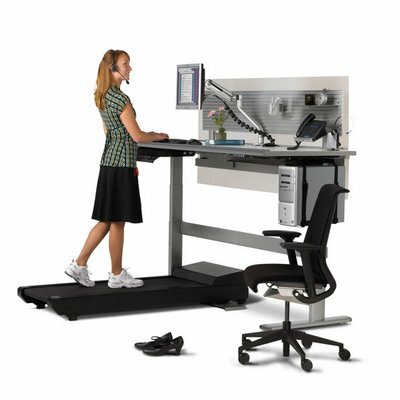 If you used a challenging enough weight, what you'll find is that your heart rate is probably up to about 80-90% of your recommended max, and you are huffing and puffing like you just ran a 100-meter sprint (which by the way, sprinting kicks the crap out of jogging any day if you want the easiest way to lose the flab). Try the same thing for a set of 20 reps of one-arm snatches or swings with each arm with a kettleball or dumbbell, and tell me your legs aren't burning, heart racing, and you're gasping for breath. How about trying 5 minutes straight of bodyweight squats, lunges, and pushups with very little rest. Again, notice your heart pounding, sweat pouring off of you, and chest heaving for breaths! Try and tell me you're not conditioning your heart with this style of training! Conventional thinking says that these are weight training or strength training exercises. However, they are fullfilling your cardio workout needs as well (saving you time!). I challenge you to give the "traditional cardio" a rest for a month or two, and start training the way I explain in my Truth about Six pack Abs Program, and see how you start getting leaner, more defined, and your six pack starting to show through what used to be stubborn stomach fat deposits. I agree! Working out with my trainer has proven to me that weight-lifting has just as much--or even more--cardio benefit. I still like a brisk walk around Pasadena's Rose Bowl several times a week. But now I consider those more "stress" busters and mental breaks than cardio.